I was taken aback last December, when Lebanese Defense Minister Fayez Ghosn, who represents the pro-Syrian Marada Movement in the Hezbollah-led government of Prime Minister Najib Mikati, made the surprise remark that al-Qaeda operatives, pretending to be Syrian oppositionists, were smuggling arms into Syria from north Lebanon’s town of Ersal. Since Ghosn made the claim, Syria blamed two suicide bombings in each of Damascus and Aleppo on al-Qaeda. On February 11, an audiotape from Ayman al-Zawahiri, the Egyptian exile presumably based in Pakistan who runs what’s left of “al-Qaeda Central,” called for the ouster of Syrian President Bashar al-Assad. Five days later, top U.S. intelligence officials pointed to al-Qaeda in Iraq as the likely culprit behind the four suicide bombings in Syria. Director of National Intelligence James Clapper told Congress the blasts “bore the earmarks” of al- Qaeda in Iraq, which “is extending its reach into Syria” – possibly with Iran’s help -- by infiltrating Syrian opposition groups, likely without their knowledge. "It does raise concerns for us that al-Qaeda is trying to assert a presence there," Defense Secretary Leon Panetta said at the Pentagon. "As to just what their role is and how extensive their role is, I think that still remains to be seen." Shedding light on that role obliquely this week is veteran Iraqi journalist Ibrahim al-Zubaidi. My friend replied with a wry smile on his face: “We have several al-Qaedas, not a lone al-Qaeda. The al-Qaedas we had in the past, we have today and might be having for years to come are disjoined armed groups. Doctrine, thought, funding, planning or exile does not tie them. What triggered this chat with my friend was a report I read on Sky.com about al-Qaeda and the Islamic Republic of Iran. 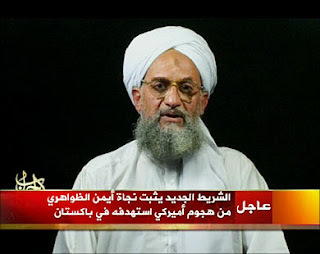 This intelligence information surfaced when a video message from Zawahiri was rallying al-Qaeda support for the Syrian uprising. Recent remarks by Iran’s Supreme Leader Ali Khamenei, by Hezbollah chieftain Hassan Nasrallah and by Iraqi ruling party spokespersons are meant to convey the impression that al-Qaeda is a key partner in the Syrian revolution. A concerted and desperate campaign is underway to save Assad’s regime. Iran wants to replicate (in Syria) the template it used with great success in Iraq – a template that allowed all its proxies to eventually assume all key government positions in post-war Iraq on grounds that they are diehard enemies of al-Qaeda when in truth some were al-Qaeda operatives who had been living safely with their families in Iran. My friend from Salahuddin is right. The love cab is parked on the taxi rank waiting for any customer willing to pay the fare for a delightful journey. May God help our Syrian, Iraqi and other Arab brothers!